Are you interested in developing your ability to astral travel? Yes, it is an ability we all can develop. It raises our consciousness and offers us increased awareness of the etheric plane or spiritual realm. According to OBE expert William Buhlman, the benefits of out-of-body experiences are a reality that each of us can experience. “All we need is an open mind and the proper guidance to access our unlimited personal potential,” he says. 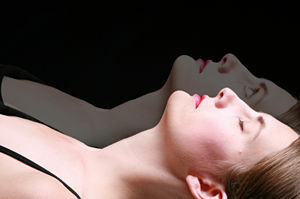 There are many exercises one can use when trying to induce this type of out-of-body experience (OBE). These exercises have been developed over a number of years and I have shared it with many clients, who have expressed varied success. In addition to these you can also use prayer at the beginning of the practice. Visualize yourself surrounded with white light, and as you focus in on this light, see how you become absorbed in the beauty of this energy. I often have some wondrous visions and feelings of peace when I do this. Relaxation – begin by focusing on your feet, and in a typical relaxation exercise, move through your body from toe to head, stretching, clenching and then relaxing each body part. Visualize energy swirling through each part of your body, releasing all tension. Energy Balancing – cleanse, balance and charge your chakras. Now, visualize a white orb suspended in the air above your head. When you’re mentally well-focused on the orb, visualize the number ‘3’ on the face of the orb. The numbers can be any color you choose. The important thing is to create a pattern, for training your brain to react the way you desire whenever you perform this sequence. This is the heart of the power of ritual! The benefit of training your mind this way is that you can greatly accelerate the process of transferring your awareness away from the physical body. Each time you practice this, the programming becomes a little bit stronger, after some time you will visualize the numbers and have your body asleep in two or three minutes. Focus – once you are in this state; try to clear your mind by focusing on your breath, or the tip of your tongue, or any one thing. The key is to remain conscious while your body is asleep. Naturally, all sorts of thoughts pull you from the focus, but you can return as soon as you notice you’ve strayed to your concentration on one thing. OBE’s can often occur after a period of focus when your mind has drifted and has been on the verge of sleep. This is when you have awakened to find yourself either out of the body or when the ‘surges’ have come on. You will often doze off when beginning practice, but take it up again when you are awake, by focusing your attention and trying to remain conscious while your body sleeps.